1. Shower curtain clips that simply attach to your shower walls to ensure water stays on the *inside* of the tub. IDK about you, but I sure don't want to spend my mornings moppin' up water. Get a four-pack from Amazon for $7.69. 2. A taco holder for perfectly cradling your masterpieces and stopping any ingredients from tragically falling out. And besides, don't we all need more reasons to eat more tacos??? They're dishwasher (top shelf) and oven safe (up to 500 degrees). Get a two-pack from Amazon for $12.71+. 3. An anti-chafing balm to give your thighs some relief on hot, sweaty days. Plus, it's made with hydrating ingredients that won't clog pores — and yup, that all sounds A+ to me. 4. A life-changing shoe powder that kills odor-causing bacteria and keeps your best sandals from smelling like death. Hot summer days are approaching fast — now you and your feet can get through them stink-free. 5. 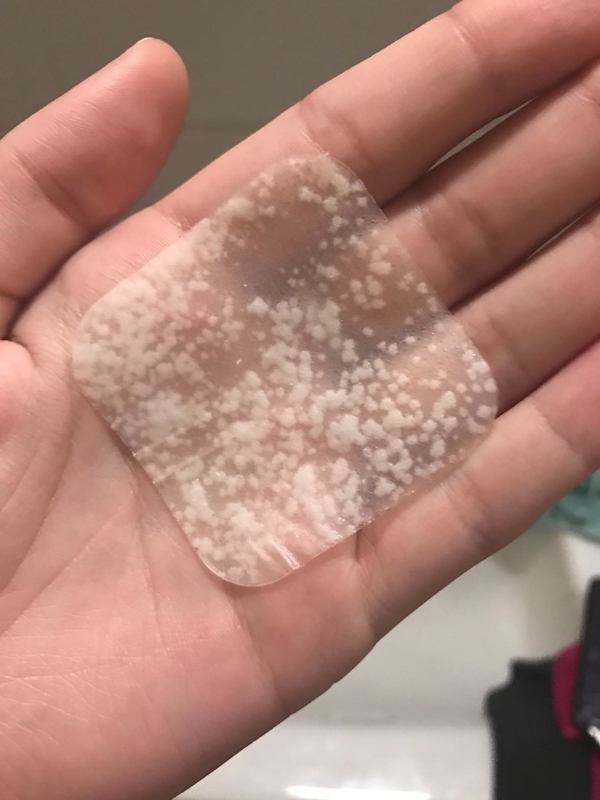 An acne patch that'll absorb sebum and dirt from the depths of your pores (just *LOOK* at that review photo) and send 'em straight to their grave, allll while you sleep. Get a variety pack (40 different size patches) from Amazon for $8.50. 6. A double-sided, dressing aid tool with one side for assisting with buttoning, and the other for zipping up jackets. You know, because the last thing you want on sluggish mornings is to get into a war with your clothes! One reviewer mentioned this gadget was perfect for buttoning up a wedding dress with tons of lil' buttons. 7. A non-stick, Dutch oven-style pot perfect for all your one pot recipes. "More yummy food and less dishes" needs to be our weekly mantra, ok? Just keep in mind that this is best utilized as a stovetop pot, rather than a Dutch oven. It's oven-safe up to 400 degrees and for a max of 30 minutes. Get it from BuzzFeed's Tasty line, exclusively at Walmart for $21.99 (available in three colors). 8. 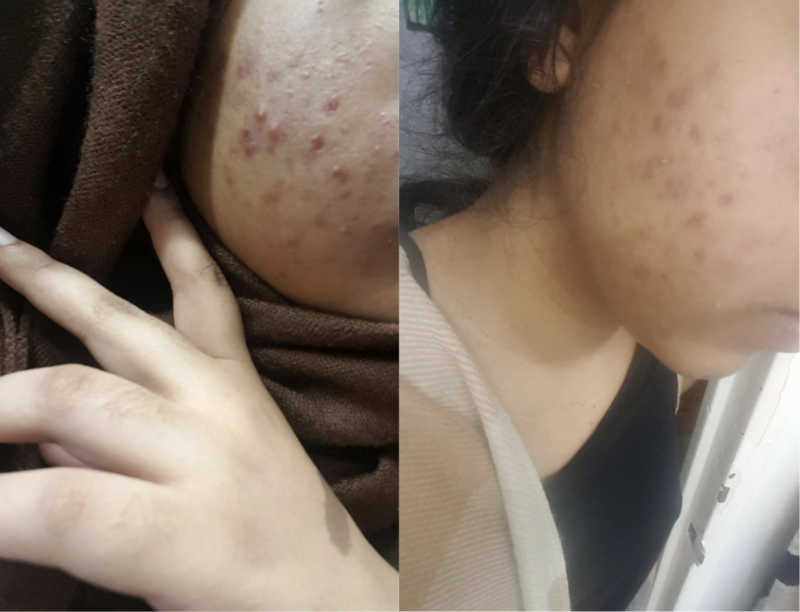 A pack of shadow shields because who has the time or energy to deal with eyeshadow fallout? Answer: Nobody. 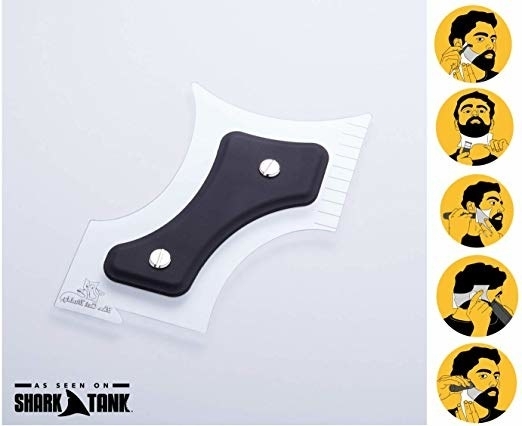 These can *also* act as a stencil for creating sharp wings, and we stan a multipurpose product, yes we do. Get a 30-pack from Amazon for $7.69. 9. A box of antiperspirant towelettes that'll keep you dry for up to an entire week (a week!). Just gently wipe before bed, let dry for five minutes, get your sleep on, and wake up with dry, happy armpits. 10. 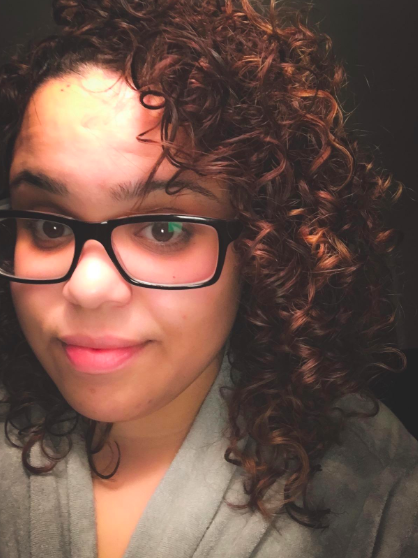 A hair diffuser adapter compatible with most blow dryers so you can achieve frizz-free, natural curls without having to spend money on an entirely new dryer. Goodbye, flyaways. 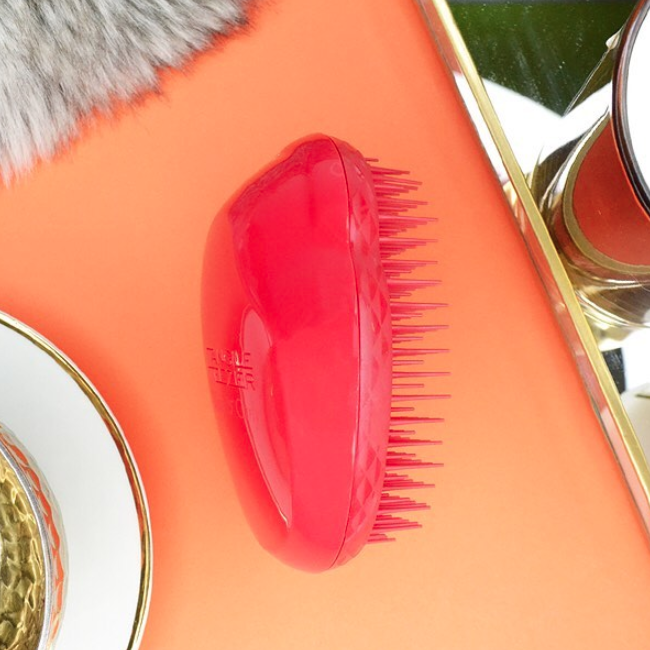 Hello, sleek blowouts at home. 11. A slip-on shower attachment to make routine bath time a calm, contained event. After all — it's spring, there's rain, and then there's the mud that your fur baby will surely find. This will make clean up a breeze. The super elastic connector means it can fit on most shower heads and faucets. Get it from Amazon or The Grommet for $19.95. 12. A multipurpose moldable glue that'll seal, repair, bond, and solve tons of tiny household problems. Frayed cables? Use this! It can be used to repair other things as well and works on aluminum, steel, ceramics, glass, wood, and some fabrics. It's waterproof, UV-resistant, electrically insulating, and dishwasher-proof when cured. Get an eight-pack from Amazon for $19.99 (available in seven color combos). 13. Caffeinated granola bars for curing a bad case of midday hanger *and* drowsiness. Keep a box of these at your desk and snack on one before that 3 p.m. slump hits. Get a 12-pack from Amazon for $22.79 (available in five flavors). It works on all hair types and can be used whether it's wet or already dry. Get it from Amazon for $9.99 or Sephora for $12 (available in four colors). 15. An essential oil blend made with peppermint, eucalyptus, tea tree and more antibacterial ingredients that may help relieve congestion and equip you for allergy season. *Wipes nose,* ahh yes, spring is upon us. Place a few drops onto a cotton swab and inhale when you feel congestion coming on, or use in a regular diffuser (get one for $15.99). Get it from Amazon for $8.79 (available in two sizes). 16. And! A pollen-, dust mite-, mold-, and pet dander-busting detergent that just might make all the difference if your regular allergy medicine just can't do the job on its own. Many reviewers heard about this from their allergist, so if regular over-the-counter medicine just isn't doing it for you, you should probably visit your doctor! This detergent contains Acaril, which removes allergens without having to wash and dry your clothes and sheets on hot. Get it from Amazon for $24.95 (roughly 45 loads per bottle). 17. A Glossier brow pomade so you can groom, fill in, and thicken your brows with just one product. And it's made with a creamy wax formula that will provide extra hydration, so LITERALLY WHAT CAN THIS PRODUCT *NOT* DO? Busy mornings have nothin' on you! Get it from Glossier for $16 (available in four colors). 18. 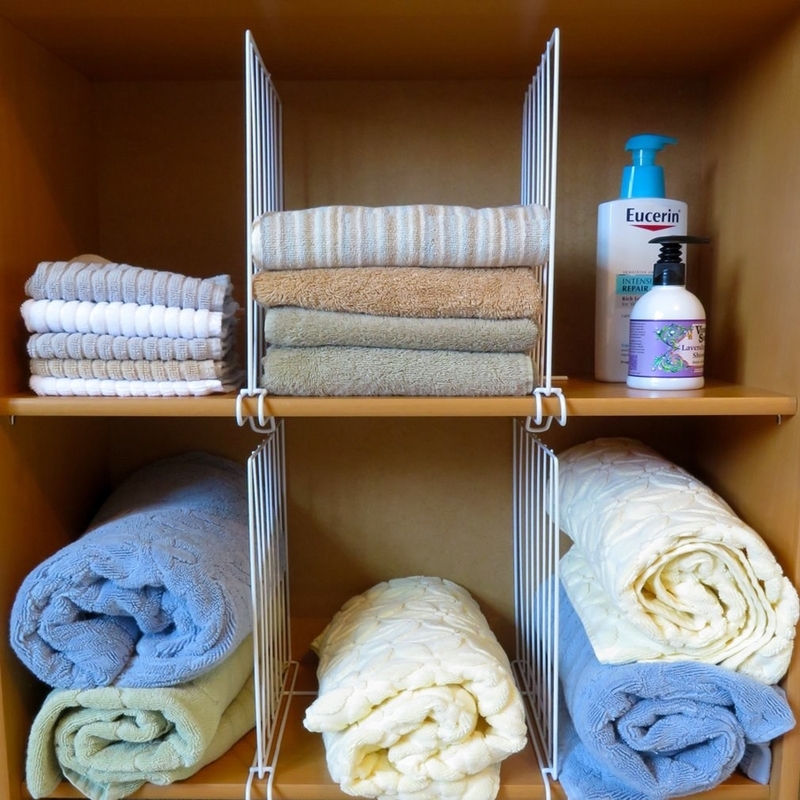 A clever car organizer that hooks onto the front seat (or the back!) to give you quick access to all the things that often end up on the ground and then under the seat where you can't reach it. 19. Machine-washable and reusable cloths for gently removing dirt and makeup from your skin with just a splash of some water. Simply toss in the washer after a few uses and start savin' your hard-earned dollars — no more expensive wipes here! Get a set of three from Amazon for $3.28. And check out BuzzFeed Review's pick for best makeup remover! 20. 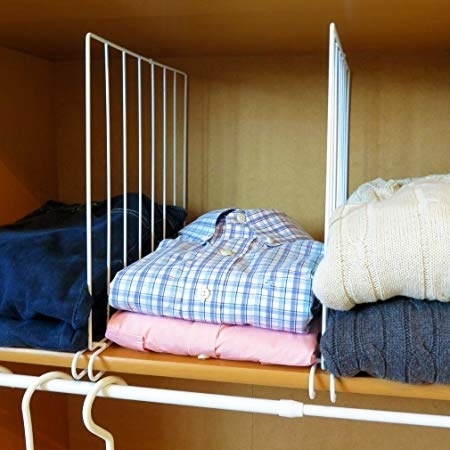 A set of shelf dividers that'll solve the ever-growing mountain of sweaters taking over your wardrobe. Maybe now you'll *actually* be able to find that one shirt you're looking for when you're running late. Get a set of four from Amazon for $19.99+ (also available in an eight pack). 21. A caddy to keep your sponges and brushes in a nice, organized place, while helping them to drain properly. Your week deserves better than washing dishes with a smelly sponge. Get it from Walmart for $11.99 (available in three colors). 22. An alcohol- and scent-free mouthwash designed for sensitive mouths so you can conquer bad breath (even bad breath caused by tonsil stones!) and get the confidence you need to converse and smooch at your leisure. 23. A defrosting tray that uses magic (ok, mostly science) to thaw food without electricity and prevent it from partially cooking, like it would in the microwave. This can thaw your frozen meat in as little as half an hour. Just put out the tray, drop some frozen food on it, and watch the magic — no electricity or prep needed! 24. 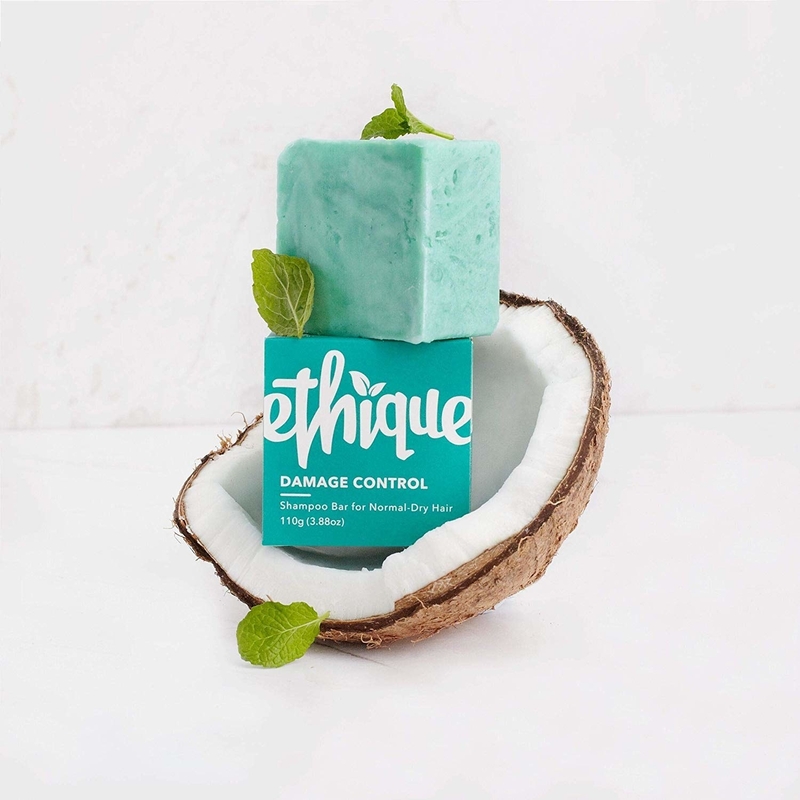 A shampoo bar made for dry and damaged hair that's equivalent to three bottles of shampoo. Not only will it save you some money down the road, but it'll hydrate your hair without weighing it down. I'm SOLD. Get it from Amazon for $16 (available in nine scents and a conditioner bar). 25. Houseplant sticky stakes so you can worry about important adult things (blah, like bills) and not the insects roaming around your house. Get a pack of seven from Amazon for $6.99. 26. 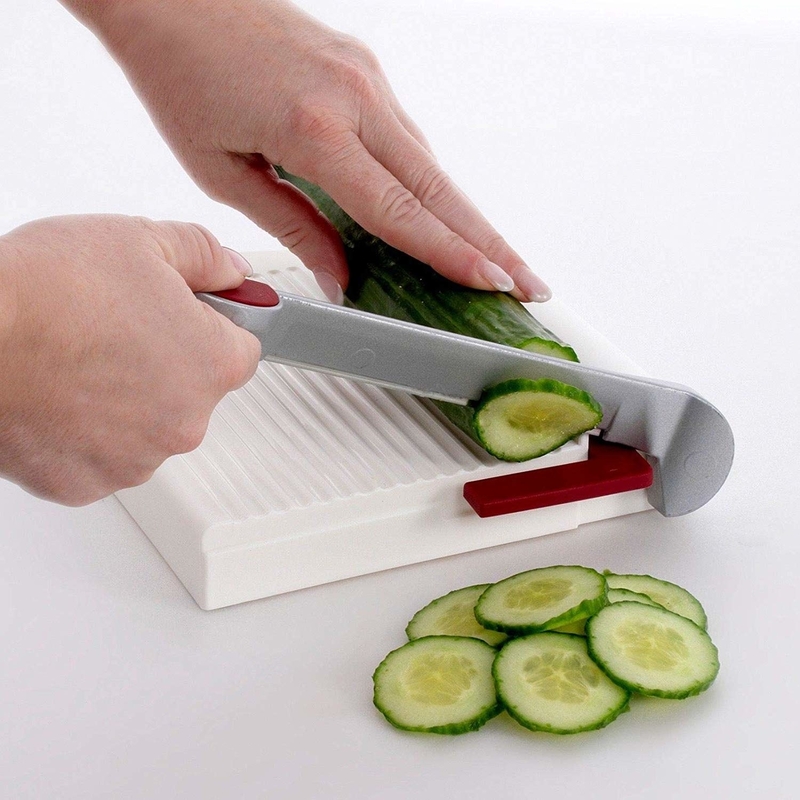 A food slicing board with a stainless steel blade that'll quickly cut up veggies (AND CHEESE) in uniform slices thanks to its built-in measuring scale. It's literally a paper cutter...but for food. Get it from Amazon for $27.44. 27. A sugar scrub beloved by many for moisturizing lips and exfoliating away dry skin. It's time to shed that winter dryness and take on the week with soft, luscious lips. 28. 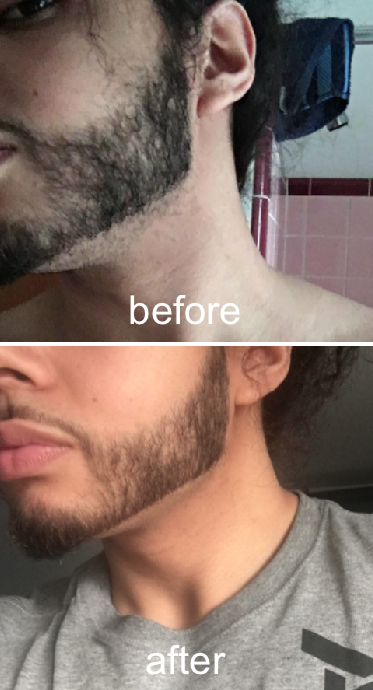 "The Cut Buddy" — your foolproof way to get clean, precise grooming lines that are totally barber-worthy. Save yourself an expensive trip to the salon and use your newfound time to get some relaxin' in. 29. LED-dimming stickers so you can sleep in complete peace (and darkness!) and not be bothered by obnoxiously flashing router and console lights. They dim 50-80% of the light, so you can still tell that your devices are still actually *on* and functioning. You can always double them up to completely block out the light source if you'd like (many reviewers do this) or buy the stronger full black-out edition! Get a sheet of over 100 dimming stickers (in multiple sizes and shapes) from Amazon for $5.59. 30. A versatile sandwich maker (just peep those lil' pizzas!) for the evenings when cooking a three-course, gourmet meal just isn't in the cards. Get it from Amazon for $20+ (available with/without a timer and four colors). 31. 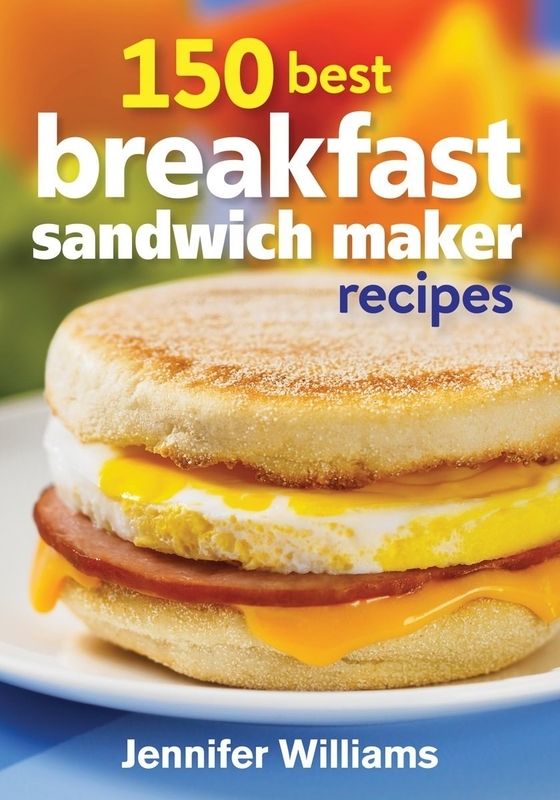 Aaaand, a sandwich maker cookbook packed with 150 recipes so you can do even less thinking and more eating. Promising review: "Great and easy ideas — perfect for busy lifestyles! I bought this along with the breakfast sandwich maker for my father as a gift. He's an older single man and was eating out quite frequently. 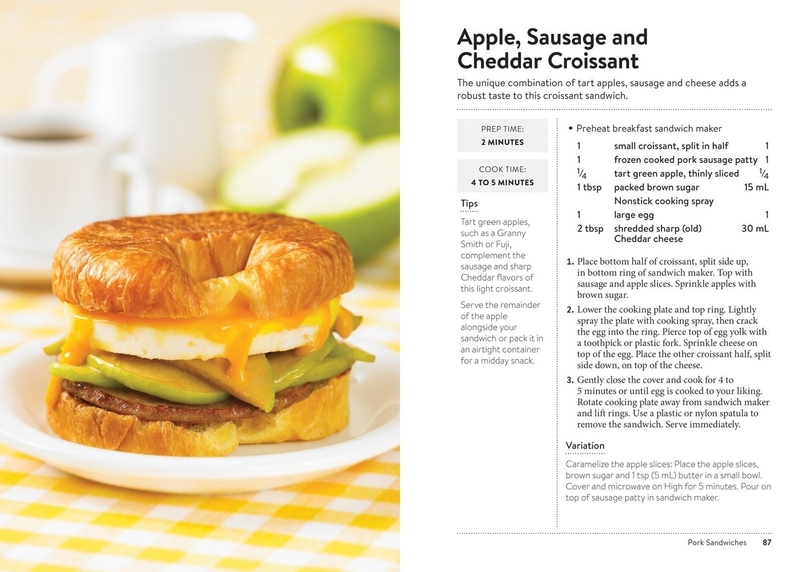 He loved the sandwich maker but having this cookbook really allowed him to get more use out of it. He now uses it for quick and easy snacks and lunches, as well as breakfast. There are a lot of great ideas in this book and you can also easily alter them to suite your taste." —Eva W.
32. A Drag Race-inspired travel mug that'll give you the BEST response whenever life, work, or everyday annoyances try to get you down. NOT TODAY, SATAN!!!!! Get it from Firebox for $14.99. 33. A miracle-working laundry detergent powder formulated to rid clothes from lingering odor, stains, and apparently...a whole TON of dirt. I mean, nobody wants to go throughout their week wearing clean, but secretly filthy, clothing. This powder can be used as an everyday detergent in the washer, or as a soak for extra grimy, stinky clothing. And if you're skeptical that some of the darken water is clothing dye like I was, consider your skepticism squashed. Reviewers posted photos of clean, white bedding and clothes soaked in this and the results were similar. Get a 45-oz. bag from Amazon for $20.95. 34. A dishwasher magnet you can switch back and forth to indicate if the dishes are clean or dirty. Now at the end of a long day you won't have to wonder if you're eating off a dirty plate. Get it from Walmart for $9.95. 35. And lastly, an at-home eyebrow tint kit so you don't have to spend time filling in your brows each morning. You'll get back some minutes and still achieve gorgeous, fuller-looking brows. That's a win-win in my book! Get the medium-brown from Amazon for $15.49 (also available in dark brown, light brown, and natural black). Looking for more great Amazon finds? Check out some of our favorite cheap things to buy on Amazon.